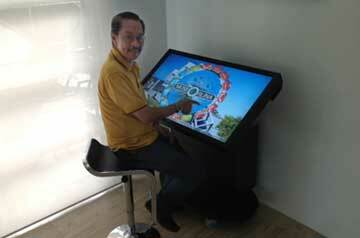 Ramon Orlina on multi-touch interactive display system. 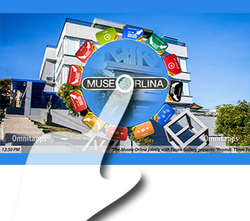 Museo Orlina is now accessible and engaging for everyone with this interactive system where visitors can interact with system's content on the screen. You can choose from more than a dozen applications in the start menu. With the thumbnail menu in the bottom of the screen you can easily select the files you desire to show. Using this multi user application will enable you to move, resize and rotate your media, videos and pdf documents with an ease of a touch. Draw on your media items and save including notes in a data folder. A selection of Orlina image files with swipe functionality. 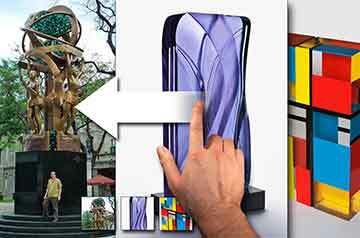 With the navigation bar at the bottom of the screen, you can navigate to your desired image. Visitors interested in brochures can view these on the screen and requests them directly. No need for brochures, leaflets or flyers. 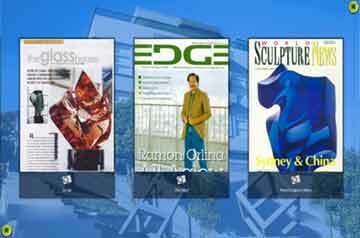 Users can browse and choose PDF leaflets/brochures. Selected PDF files can be mailed (by notification), printed or copied directly to a USB drive.